Almost half of respondents to theTRADEnews.com’s July poll admitted to boosting payments to brokers to make up for shortfalls in the research pot resulting from lower trading commissions. Moreover, the greater transparency afforded by greater unbundling of research and execution payments and wider use of commission sharing agreements (CSAs) could make incremental shifts in commissions more common. 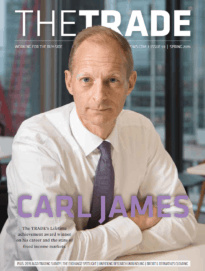 Some 15% of theTRADEnews.com readers said they had bumped up ‘many’ brokers’ commission rates to make up for shortfalls in the amounts used to pay for research. A further 20% revised ‘some’ of their rates upwards, while 14% increased ‘a few’. Commission rates have been dwindling recently for three key reasons: falling execution costs in Europe because of MiFID-induced trading venue competition, the buy-side’s increasing usage of low-touch trading methods such as DMA and algorithms, which attract lower commission rates than high-touch channels, and a slump in trading levels by value as a result of the financial crisis. Squires argues that it is often difficult to justify to end-clients increases for research spending. “You could argue that the research the fund managers use benefits the clients because that hopefully adds to the performance of the funds, but you are basically asking them to pay a direct cost for an indirect benefit and I think that’s quite a hard sell,” said Squires. Richard Balarkas, CEO of agency broker Instinet Europe, is surprised for another reason. He argues that the quality of broker research simply does not warrant increases in the commission rates to pay for it. “I wouldn’t volunteer to sit across the table from any trustee who knows how to do their job and justify why I thought broker research was worth more money in the first half of this year,” said Balarkas. “There are plenty of surveys that suggest broker research is of questionable value, and that’s a long-term trend. Not even the so-called corporate access that the investment banks can offer is going to help very much – there’s sufficient evidence to suggest that the last people you want to be talking to in order to value a company are the senior executives.”? However, while some trustees and their advisors diligently monitor asset managers’ commission spend, and are willing to challenge any decisions they disagree with, not all have the time or inclination to scrutinise all elements of broker pay, particularly given the recent financial markets turmoil. “Quite a lot of firms’ priorities are very far away from the minutiae of dealing commissions,” said Richard Phillipson, principal in the investment practice at Investit, an investment management consultancy. 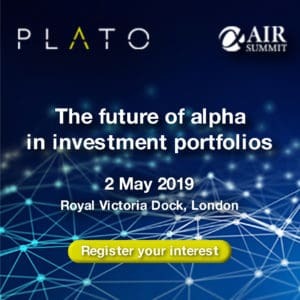 According to Phillipson, the poll results suggest the buy-side has a precise, predefined ceiling for research spend, rather than as basis points of overall commission, and is willing to make changes to commission rates to ensure it sticks to those targets. If so, he points out, commissions could move up as well as down. Regardless of the direction of the change, some buy-side observers predicted greater rate mobility due to the greater visibility into commissions that unbundling and CSAs bring to the buy-side, brokers and end-clients alike.